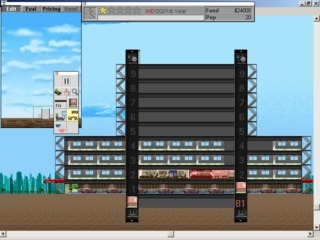 SimTower: The Vertical Empire is a simulation game developed by Japanese company OpenBook and published by Maxis in 1994 for Windows 3. SimTower: The Vertical Empire is a simulation game developed by Japanese company OpenBook and published by Maxis in 1994 for Windows 3.x and Macintosh. 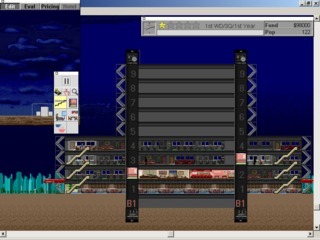 The game was initially developed by a young Japanese programmer called Yoot Saito, who released the game in Japan with the title "The Tower". 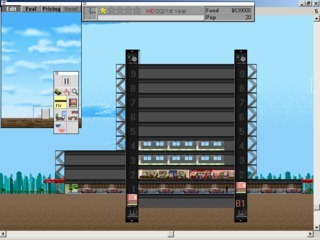 Will Wright (creator of Sim City) discovered this innovative simulation and convinced Maxis to contact Saito, in order to release the game outside of Japan. 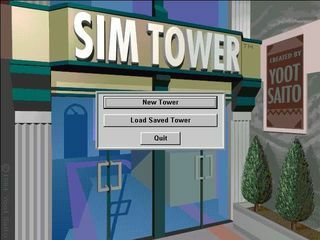 That's how The Tower became Sim Tower. 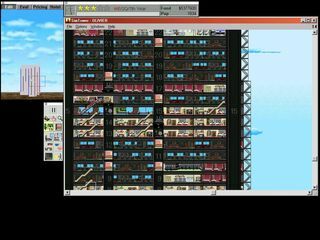 Like the other open-ended "sims" by Maxis, the goal is to build and make a profit, in this case, the goal is to build a skyscraper. 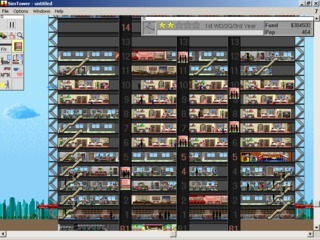 You can add apartments, restaurants, offices, elevators, and more. As long as the tower advances in level, additional facilities become available. As usual, random events can ruin your plans. 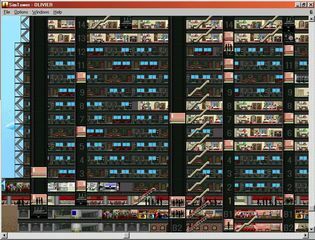 In Sim Tower, you can receive a phone call from terrorists that have placed a bomb in the tower. Who knew Die Hard was popular in Japan too?